Wan Liya (Personal show 2019). In 1999 Sofi graduates from the art school ARBA in Brussels with a degree in sculpture. Four years later she gets her diploma in ceramics from E'cole des arts in Ixelles and since 2004 she has been in charge of the ceramic department at the Art Academy in Uccle. 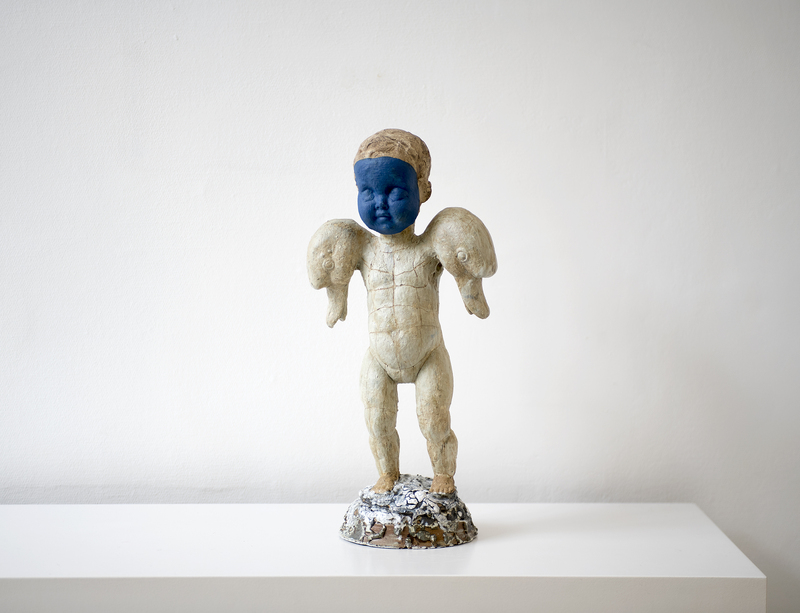 Sofi Van Saltbommel is by all means a sculptor who freely juggles with materials like plaster, metal, wood, found objects and not least clay and fabrics in order to express herself. In my work everything is allowed – one can create anything, but surely not just whatever. Signs and codes intertwine to make something else. Assembly of symbols, mythologies, urban expressions and ancient traditions. The magic of transformation, lustful metamorphosis. Playful objects of a sacred procession. Mix of imaginary icons reminiscent of carnival in its power. Masks and trophies with phallic noses speaking of animal vitality, fertillity and powerful drive. 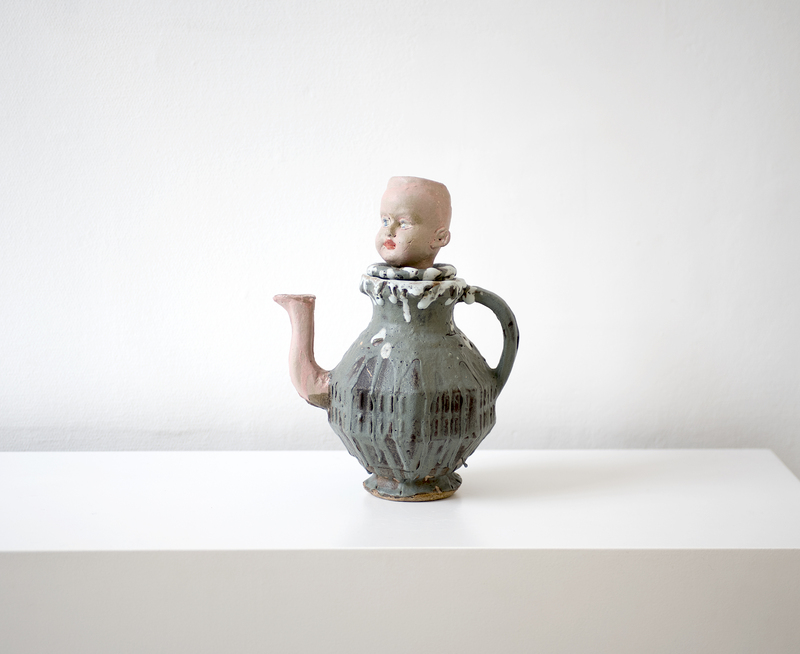 Sofi van Saltbommel mixes techniques, media to transgress the codes of ceramics. Her aesthetic and technical choices, of remarkable acuity, consolidate a false erratic attitude between low and high culture, art and craftsmanship, naturalism and symbolism. 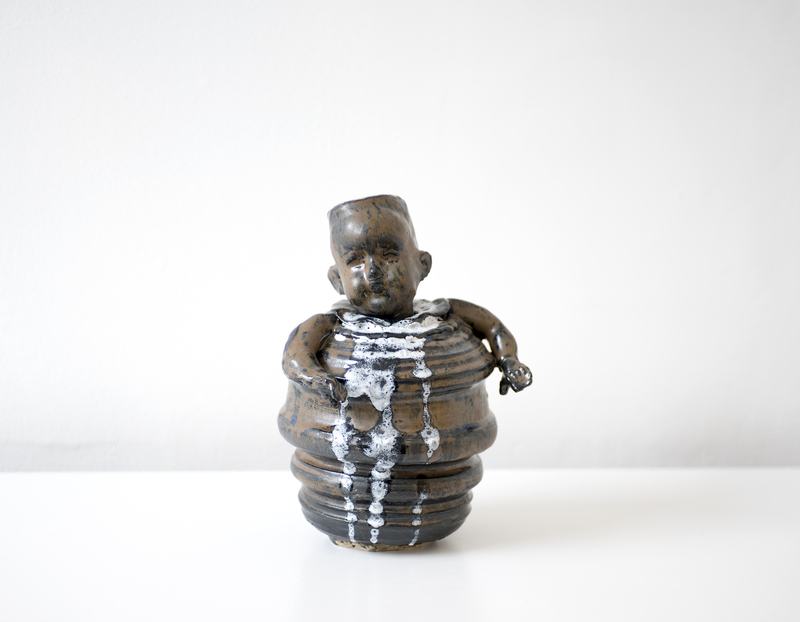 Says Ludovic Recchia who has invited Sofi to exhibit at the ceramic museum Keramis in La Louvière this spring.